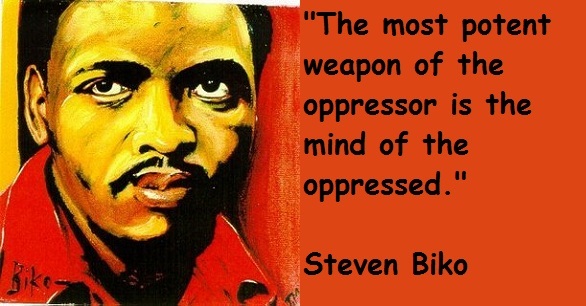 The late South African political activist Steve Biko correctly said that, “The greatest weapon in the hand of the oppressor is the mind of the oppressed.” The 21st century U.S. corporate-stream media has irrefutably proven this to be accurate. This media is both the bane and the deadly novocaine of the masses of everyday ordinary Black, White, Brown, Red, and Yellow people in this nation and worldwide. Rather than being the ‘age of information,’ this century has proven to be to the age of corporate media disinformation, misinformation, distraction, and omission. It is the age of deliberately perpetuated ignorance and manipulation of the masses of everyday people. Even some of the so-called ‘alternative’ media, has been and is, a part of this corporate swindle. Be clear about this. The silence of the corporate-stream media as pertains to an honest critical historical and contemporary political and social analysis is both deliberate and criminal. The ordinary people of the United States are NOT the enemies of the ordinary peoples of the world. It is the corporate-controlled U.S. government and the U.S. corporate-stream that are the actual enemies of not only the world, but of everyday people in this nation itself. The corporate gangs, i.e., the Crypts and the Bloods, otherwise known as the Democrats and Republicans, are the murderous bloodsuckers of this nation and of our Mother Earth as a whole! It is no mere coincidence that Comcast (51%) and the giant multi-national General Electric, weapons manufacturer, (49%) outright own NBC (the National Broadcasting Company). Yet, all of the the so-called ‘mainstream’ media is in fact not simply ‘sponsored’ by, but in reality, insidiously owned, by giant bloodsucking corporations. Wake up! Despite the fact that there is a worldwide Internet, the U.S. corporate-government and their corporate partners are engaged in an intense daily battle to censor, control, and manipulate what we can find and read on it. Moreover, corporate-government ‘trolls’ infest the Internet, interfering with, distorting, and, thereby, subverting information on the Internet on a daily basis. Make no mistake about this. Due to this reality, whether you know it or not, it is a constant struggle to disseminate and share pertinent and crucial information in a timely fashion even on the Internet. Expect nothing other than distortion, distraction, and manipulation from the corporate media, for that is why it exists! As conscious people of goodwill, we must disregard the corporate-stream (so-called ‘mainstream’) media. We cannot plead ignorance in this regard. STOP being manipulated by this corporate media. Stop going for the ghost! Grow up and regain your humanity! Make the only relevant media that of everyday people from ordinary, everyday sources; not CBS, NBC, MSNBC, ABC, FOX, PBS, etc.! It is time for a revolution of the mind—a revolution of consciousness! Each one, reach one. Each one, teach one. Onward then, my sisters and brothers! Onward!